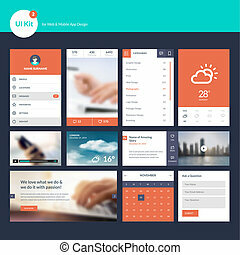 Flat icons and ui web elements for mobile app and website design. Flat UI design elements - set of basic web icons on colorful bars. Vector illustration. Flat UI design elements - set of basic web icons with captions. Vector illustration. Flat UI design elements - set of basic web icons in colorful circles. Vector illustration. Flat UI design elements - set of basic web icons on colorful circles. Vector illustration. Flat Web Design, elements, buttons, icons. Templates for website. Flat UI design elements - set of basic web icons with captions on colorful background. Vector illustration. 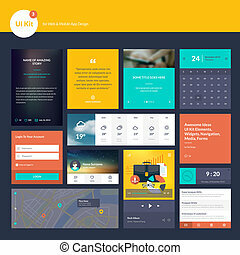 Flat UI design elements - set of basic web icons two different color schemes. Vector illustration. Flat UI design elements - set of basic web icons in white and blue. Vector illustration. 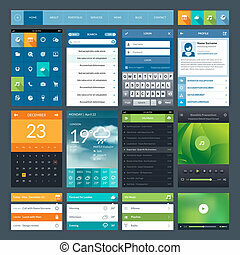 Flat UI design elements - set of basic web icons in blue and white. Vector illustration. 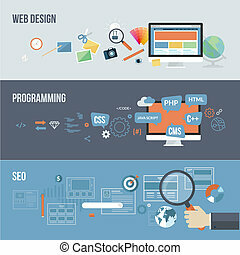 Flat design vector illustration concept icons set of business working elements for web design, e-commerce, mobile app, digital marketing, programming, seo, office, communication, finance. Flat line colorful icons collection of website and app development, seo, website maintenance, online security, cloud computing, web programming process, API interface coding, mobile app UI making. 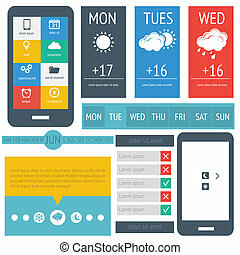 Flat line colorful icons collection of web design and development, responsive design, app development, online security, web programming, mobile website development. Basic thin line web icons collection. Icons for web and app design.